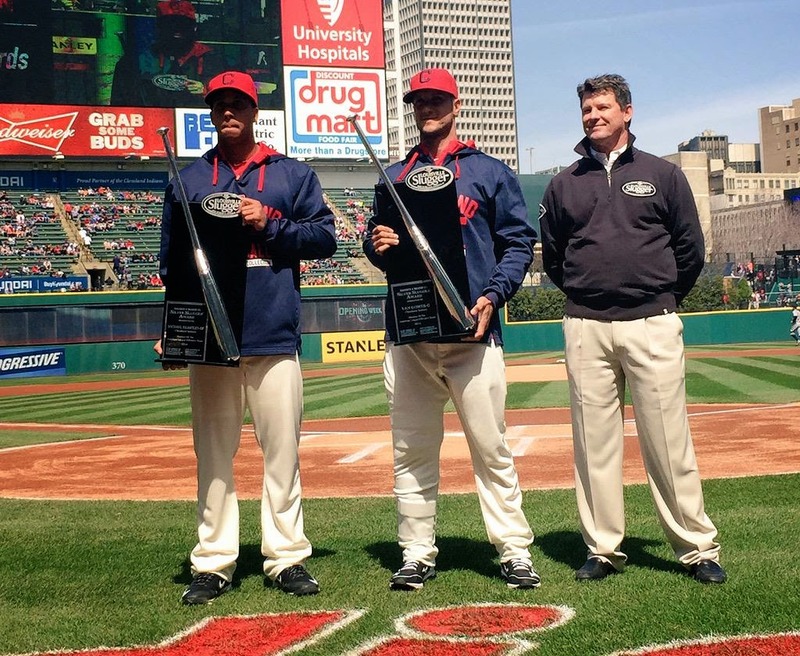 All Things Brantley, All Things Tribe: Brantley Receives Louisville Slugger's 2014 AL OF Silver Slugger Award! Brantley Receives Louisville Slugger's 2014 AL OF Silver Slugger Award! in what has been a tough start for Michael in 2015, i do have some happy news to report in this short blog. 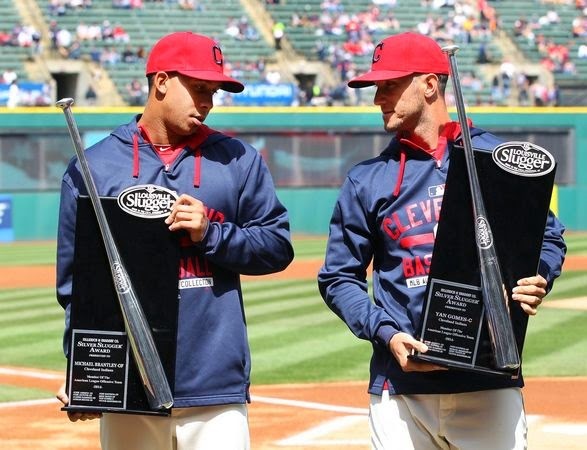 before today's April 12 game at home versus the Detroit Tigers, Michael Brantley was presented with his 2014 AL OF Silver Slugger Award! Indians catcher, Yan Gomes, received his award as well! $50,000 bonus. he had plenty to say about winning his first Slugger here. so far, the Indians have played 6 games and Michael has appeared in only 2. he has been battling what was officially diagnosed on April 10 as a lower back strain, which he first suffered sometime during the offseason. he was held out of certain activities at the beginning of camp and missed 5 straight spring games in an effort to get him over it, but the issue has unfortunately lingered into the regular season. right now, the Indians are hopeful that Michael will not need a stint on the disabled list. i, however, honestly don't know how he's going to "kick" this thing if he doesn't go on the DL and get extended time off. i fear this will be an on and off problem for him all year long otherwise. this is certainly not the start that anyone wanted for Michael and it's made me quite sad. i just want him to get healthy again (FAST!) and have another big season. think good thoughts, Brantley fans. he needs 'em. and be sure to follow me on twitter @clevelandgirl23 for all Michael's latest back updates.